We are an independent estate agency company, based in Northamptonshire, with 11 residential sales branches and 2 residential lettings branches. 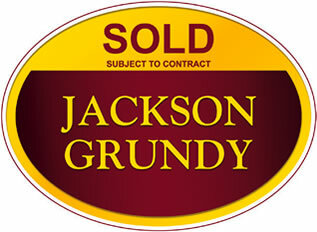 At Jackson Grundy, we believe in the successful combination of modern marketing methods, traditional values and local knowledge. Since our inception in 1994, we have continually strived to maintain the highest service standards, whilst simultaneously monitoring developments in marketing techniques. Our aim has always been to stay at the forefront of our industry in both these areas. Whether you are a Seller, Purchaser, Landlord or Tenant, our aim is to provide you with an unrivalled experience. We hope that our customers find us honest, friendly, highly motivated and most importantly, effective. 24 Bridge Street was the original site for our Northampton town centre sales department, which subsequently moved in to our flagship branch at 'The Corner House' on St Giles Square at the beginning of 2018. Our Long Buckby office was originally established some 30 years ago as ‘The Village Agency’ and is located at the heart of the village. From this branch we also cover the beautiful neighbouring villages of Flore, Whilton, Nobottle, The Bringtons, Harlestone, The Bramptons, Holdenby, The Haddons, Ravensthorpe, Teeton, Coton, Hollowell, Creaton, Spratton, Guilsborough, Yelvertoft, Cold Ashby, Naseby, Cottesbrooke and Welford. This large and thriving village offers many types of property and numerous facilities, whilst benefitting from being situated within a particularly picturesque area of Northamptonshire. The M1 motorway can be accessed via nearby junctions 16 and 18 and Long Buckby has its own railway station on the main line to Birmingham New Street. Living here might be described as ‘the best of both worlds’, a phrase that might also describe our combination of local office and supporting network of ten countywide branches. Our Daventry branch covers the historic market town itself and also the stunning villages of Weedon, Norton, Braunston, Newnham, Welton, Staverton, Kilsby, Barby, Ashby St Ledgers, The Catesbys, Willoughby, Badby, The Everdons, The Stowes, Farthingstone, Litchborough, Woodford Halse, Byfield and Eydon. The town has benefitted from a significant amount of redevelopment over recent years, with increased availability of new jobs brought to the area by the rail freight terminal. As a result, the area now offers a vast range of property types and a number of modern housing developments. We are able to provide local coverage of these areas from our High Street office, with the added benefit of a supporting network of ten other Northamptonshire branches. ‘The Village Agency’ provides our specialised service for owners of property with a market value in excess of £400,000. Geographically this might include property situated in any part of the county and the department is linked to all eleven of our branches across Northamptonshire. Clients are ensured of a bespoke service tailored to their individual needs, delivered by a specially selected team experienced at assessing and fulfilling such diverse accommodation requirements as swimming pools, stables and snooker rooms, as well as more traditional family space. You will find our staff in the department have a wealth of knowledge and experience in this particular sector of the market. Situated within the busy parade of shops on Harborough Road, we were delighted to eventually find the right premises to open our 11th office. Residents are now able to benefit from our service delivered directly by our Kingsthorpe branch, in addition to the support provided by our ten other offices across Northamptonshire. Districts covered by this branch including Kingsthorpe, Kingsthorpe Hollow and Queens Park. This thriving suburb of Northampton is ever popular for its diverse property types, community spirit and vast range of amenities. We were delighted to celebrate the start of a new decade with the opening of this branch and relish being part of the future of the community.